Are you looking for a Hyundai truck? Rugged, tough and powerful, the Hyundai HD72 is designed to get the job done. If you are looking for a reliable truck that will exceed your expectations, the HD72 trucks are a great choice. Not only will they increase the productivity of your business, they are designed to minimise operating costs too. 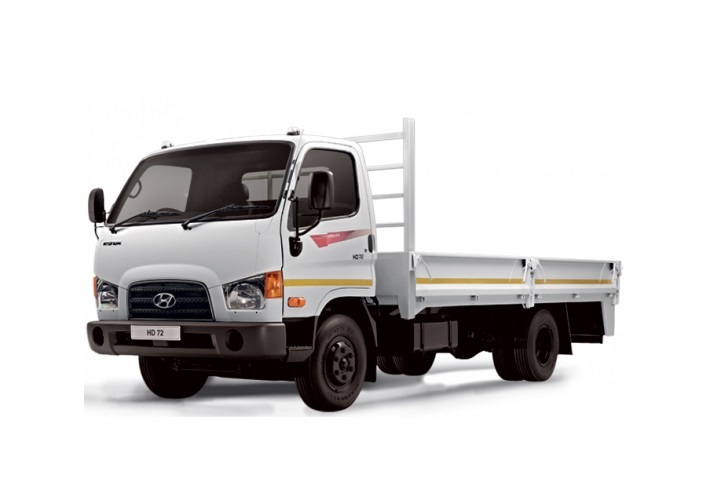 With prices starting at R418 266, these trucks offer you excellent value-for-money, making it a stunning option if you are in the market for a Hyundai truck for sale. The HD72 Hyundai trucks have proven themselves time and again. Their status as leading trucks has been achieved over a variety of gruelling tests. 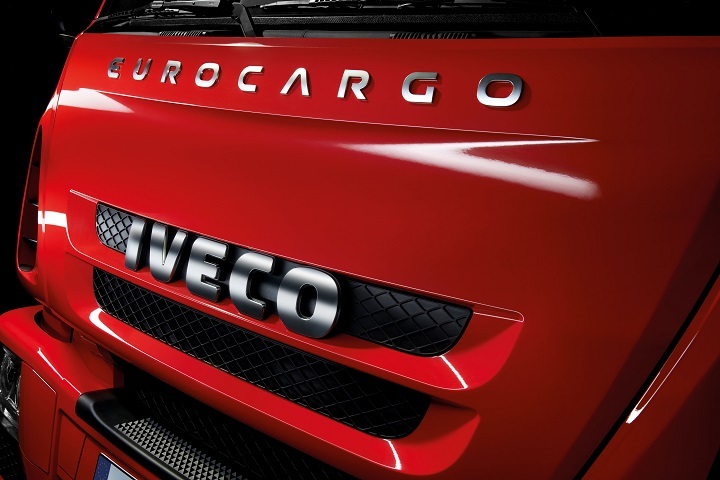 Innovative technology is used to manufacture these impressive trucks, which has contributed to their success. The Hyundai HD72 trucks exude a powerful presence on the road and inspire confidence in both the truck and your business. The exterior of these trucks incorporates rounded elements as well as striking lines which emphasise the capable nature of these trucks. The hardworking character of the HD72 models is exemplified by their durable exterior. The box-type cab of the Hd72 Hyundai is complemented by softer design elements. The rounded cab corners are balanced by a clean roofline which is uninterrupted by rain gutters. The body panels and glazing enhance the exterior design of these trucks. The exterior trim puts the finishing touch on the HD72. Not only do these trucks look good, they are aerodynamic too. 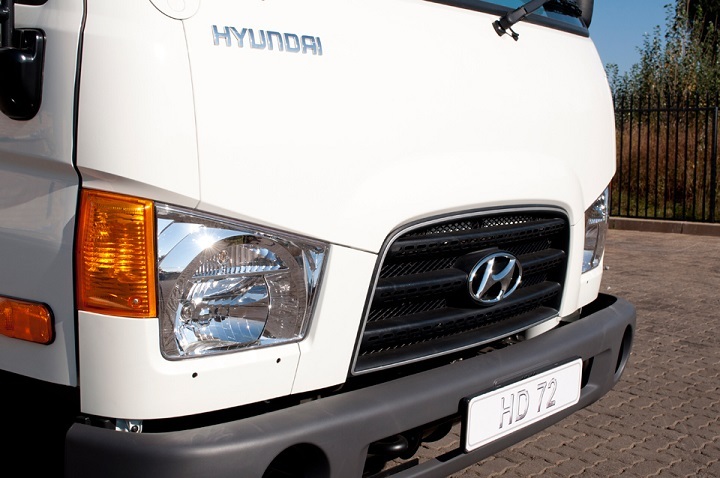 The exceptional design of the Hyundai HD72 trucks contributes to their remarkable performance. Another functional aspect of the exterior design is that it creates plenty of room in the interior of the truck. Interested in finding a Hyundai truck? Create a Hyundai Truck Alert and get info on the latest deals listed on Truck and Trailer. The Hyundai HD72 for sale is built to ensure driver satisfaction and provides a safe and comfortable cab. 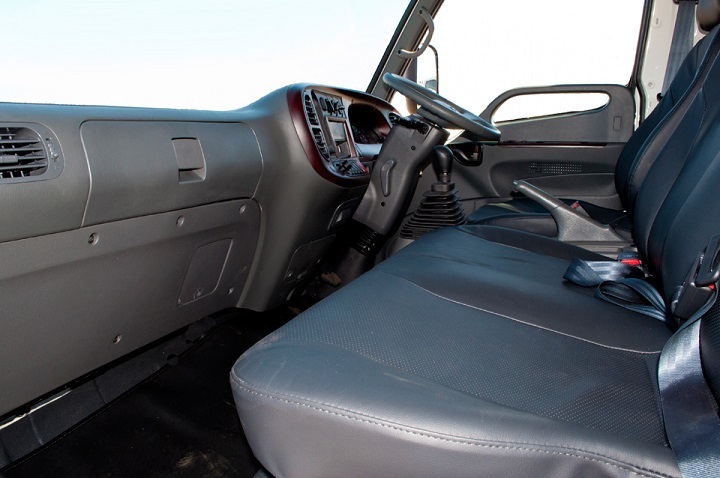 The ergonomic design of the cab reduces driver fatigue and improves productivity. The cab interior is designed to support the driver. The high-back seats offer the driver support and help to increase comfort levels. The larger windscreen and the seating position improve visibility which makes the driver’s job easier while improving safety. Another advantage of the excellent visibility is that it is easier for the driver to navigate tight spots. The versatility of the cab adds to its appeal. Another feature of the cab is its modern trim materials. The durability of the trim materials matches the hard working nature of the truck resulting in decreases wear and tear. Noise Vibration Harshness isolation is highlight of Hyundai HD72 trucks. The simple and clear layout of the instrumentation makes the driver’s job easier. Electric windows, central locking and an adjustable steering column are other features of the interior. 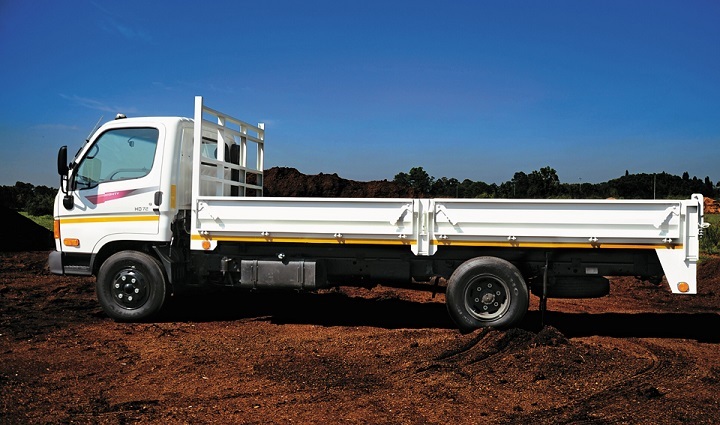 The truck has demonstrated its capabilities over a wide range of terrains. Equipped with a D4DB diesel engine, the HD72 Hyundai is exceptionally powerful. Its trustworthy performance and tough exterior add to its appeal. The optional turbo protection takes the durability of these trucks to the next level. The turbo protection system safeguards the engine which contributes to a longer lifespan and reduces the chance of costly breakdowns. Not only does this system reduce the cost of repairs it also decreases downtime. The gearshift offers superior precision. Another reason to find a Hyundai HD72 for sale is its safety features. The Hyundai HD72 boasts a 4-channel A.B.S integrated Electronic Brake-force Distribution system. 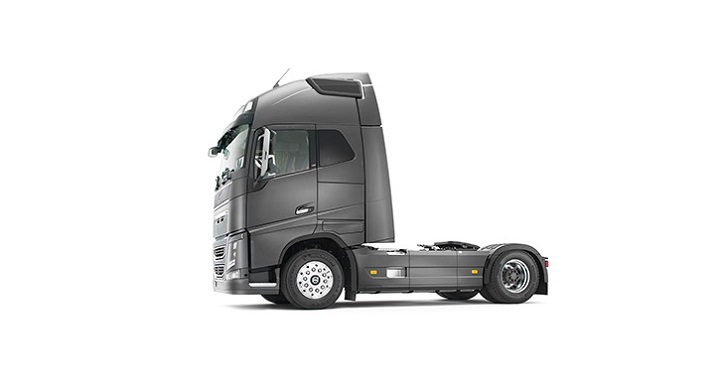 This system helps to protect the driver as well as the truck and its cargo during adverse weather conditions. If the system detects that the wheels are locking, it redistributes the braking pressures to all wheels as well as boosting break pressure in an emergency. Hyundai trucks have a reputation for excellence and the HD72 trucks are no exception. 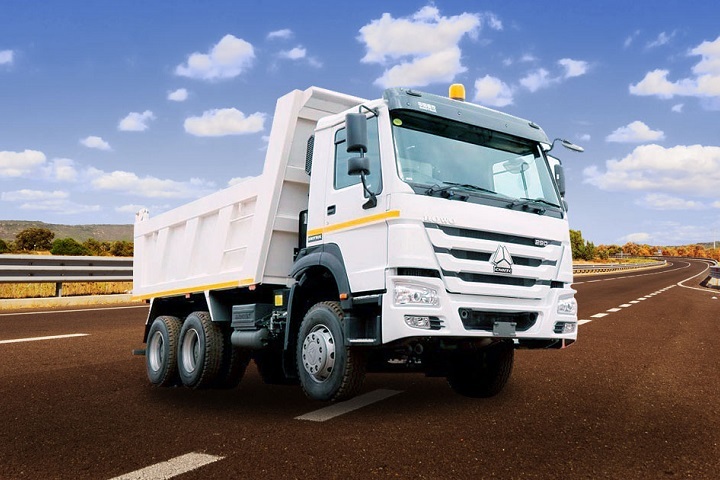 Suitable for long distance travel, these trucks are designed to support the driver and get the job done, no matter what challenges come its way. The competence of the Hyundai HD72 trucks is evident in every aspect of their design. Looking for a Hyundai truck for sale that will meet the strenuous requirements of your business without braking the bank? Browse for used trucks, trailers and machinery on Truck & Trailer. 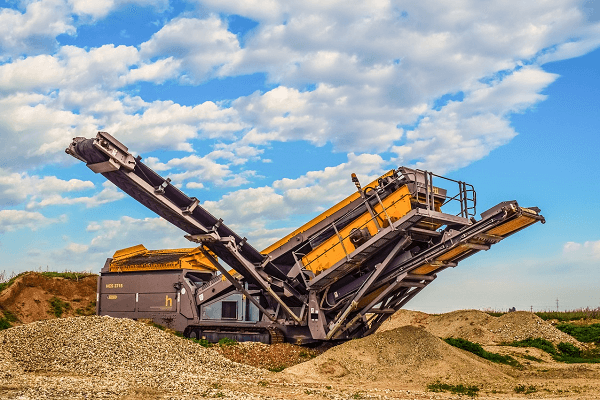 See the Volvo Truck that can pull 750 tons!